Don’t be fooled by these tiny seeds. They might be small but they are mighty when it comes to packing a nutrition-dense and energy-boosting punch to your diet. Originally grown in Mexico, chia seeds were highly valued for their medicinal properties and nutritional value. In fact, they were even used as currency! 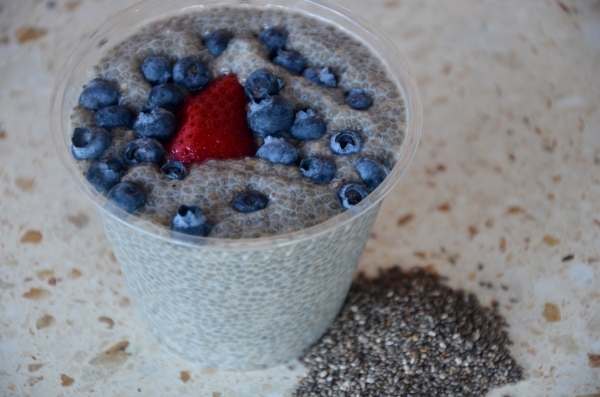 Aztec warriors ate chia seeds to give them energy and endurance. Apparently one spoonful of chia could sustain them for 24 hours! Chia means “strength” in the Mayan language, and the food was known as “runners food” because runners and warriors would use them as fuel while running long distances or during battle. Foods that are high in fibre help people to feel full for longer and reduce those sugar cravings. Chia absorbs 10-12 times its weight in water, immediately expanding the stomach when eaten. Because of this, chia seeds can prolong hydration and improve nutrient absorption of electrolytes. High-fibre diets decrease the prevalence in flare-ups of diverticulitis by absorbing water in the colon and making bowel movements easier to pass, which are crucial for the daily excretion of toxins. Increased fibre intake also lowers blood pressure and cholesterol levels. Did you also know that a high-fibre diet can lower the risk of developing diabetes by keeping blood sugar levels stable. Chia seeds are very high in Omega-3 fatty acids that can assist to decrease the risk of thrombosis and arrhythmias, which are disorders that can lead to heart attack and stroke. Just one ounce of chia seeds has 18 per cent of the recommended daily amount of calcium. Calcium is fundamental in bone health and helps maintain bone strength and mass. Packed with calcium, phosphorus, vitamin A and zinc, it’s no wonder that chia seeds are a great for the health of your teeth. Zinc prevents tarter by keeping plaque from mineralising onto your teeth and has an antibacterial effect that keeps bad breath germs away. Ranked among the top plant based sources of protein, this is another reason that the super seed is great to consume for those trying to put on lean muscle, burn fat, and balance blood sugar levels. Speaking of exercise, chia packs a powerful antioxidant punch to help replace some of those nutrients lost after a workout. What’s more, these seeds are also gluten-free, and due to their high antioxidant content, chia does not spoil easily and can be stored for long periods. What more could you ask from one tiny seed? Perhaps a delicious Chia Pudding recipe.